The Cal Aero Aviation Country Club was created as a throwback to the 1920’s, 30’s and 40’s where there were aviation country clubs around the country. The hanger’s design was patterned after the Hicksville Aviation Country Club located in Long Island New York, where such notables as Charles Lindbergh, Leroy Grumman and other cradle of aviation founders were members. Incorporating the original name of Chino Airport, “Cal Aero Field”, there is an effort to connect the history of the airport with the present. The “Country Club”, or “Cal Aero” as the facility is best known as, has become a center of gravity for the airport with not only private events, but also aviation related events such as EAA’s Young Eagle’s flights to introduce aviation to the youth of America. We are proud of what we have built as we try to continue the legacy of the airport and share it with others. 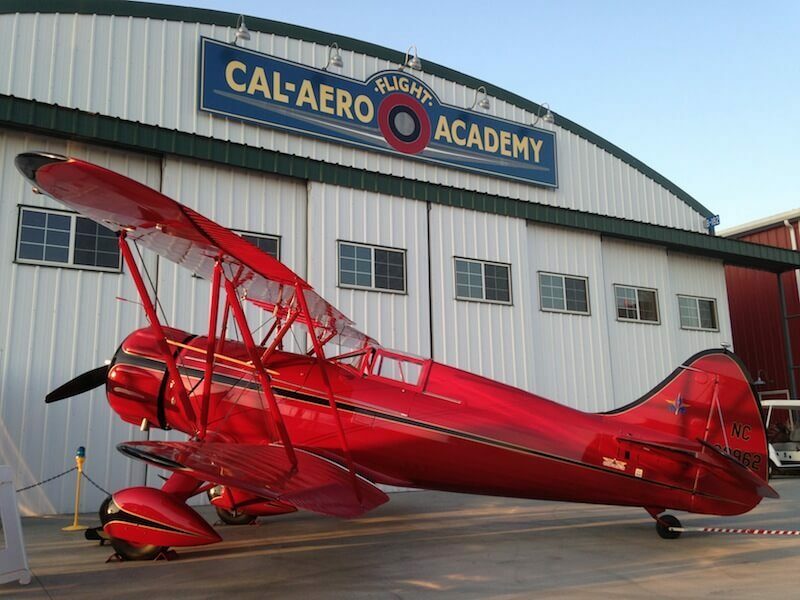 Cal Aero Aviation Country club is located at the famous Chino Airport, also known as Cal Aero Field.